Vizio has released an 8-inch Android tablet priced at a mere $299. It features Adobe Flash, a three-speaker configuration and a MicroSD slot for expanding to 32GB. 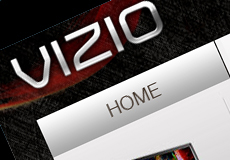 The Wi-Fi tablet is being promoted by Vizio as an affordable back-to-school option and as a media device designed to interact with TVs. French CE manufacturer Archos announced it is getting ready to launch an Android Honeycomb 3.2 tablet with 250GB of internal storage capacity. The Archos G9, expected to hit shelves in September, will be available in 8- and 10-inch models ($370 and $470, respectively). The new tablet will feature a Seagate Momentus Thin 2.5-inch hard drive modified to include 4GB of flash storage. Time Inc. announced it will offer all of its 21 magazines including Time, Sports Illustrated, People and Fortune on just about every tablet platform. To date, Time’s digital magazine and content apps have been downloaded more than 11 million times. The acquisition is part of an effort to strengthen its intellectual-property portfolio and avoid legal assault. It may also bolster the legal buffer surrounding its Android mobile OS court showdown with Oracle set for October. Google has some 700 patents (mostly for search engine technology) while its competitors, especially those in the mobile industry, have thousands. Lenovo’s ThinkPad Honeycomb tablet (starting at $480) will offer a stylus for taking on-screen notes, security features, detachable keyboard, Netflix compatibility and a variety of business features. The new tablet is expected to ship by August 23. Lenovo does not seem to be concerned with entering the Android tablet price war, since most of the other competitors are angling toward $400 and below. Instead, the company is positioning the tablet as a business-savvy device. The company released its Android app on Honeycomb two weeks ago. There is also an iPhone version available. The free Ustream app supports AirPlay, which means users can stream whatever they are watching on their iPad 2 to bigger screens. “The AirPlay support is especially nice because while the video is projected onto your TV you can still use your iPad for chatting and social stream,” writes Gizmodo. Ustream will also allow users to broadcast their own videos using either of the iPad 2’s cameras. 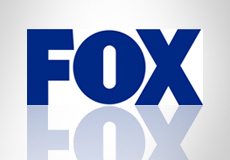 Twentieth Century Fox has announced a new service that will offer Fox movie downloads on Android devices as early as October. This is a first for the Google Android OS. Due largely to the lack of playback and copy-protection technologies, Android has so far taken a backseat to Apple’s iPhone and the convenience of the iTunes store. These issues should be addressed now that Google has acquired rights-management company Widevine. Google launched its new Google+ social network June 28th, and an Android app was made immediately available. Three weeks later, Apple finally approved the official Google+ app for iOS (until Tuesday, iPhone users had to access a mobile Web version in Safari). Similar to the Web version, Google+ for iPhone includes Circles (stream of updates from a user’s contacts) and Huddle (for group messaging within a user’s circles). Google+ for iOS works on the iPhone 3G, iPhone 3GS and iPhone 4 (running iOS 3.1 or later). 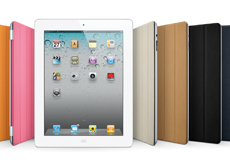 A dedicated iPad version has yet to be announced. Apple spin-off Apperian is hosting private-label iOS app stores for Cisco, Procter & Gamble, Estee Lauder and others. Apperian was spun off with Apple’s blessing in 2009. One year later, Apple’s over-the-air protocol became available. Apperian CEO David Patrick says the service will also be adding Android apps in the future. According to the deal, Electronic Arts is expected to pay $650 million in cash and $100 million in new shares. EA has long been a dominant player in the console gaming market; this acquisition plans to strengthen its presence in mobile and causal gaming. Mobile games, like those played on Android and iOS devices, are the fastest-growing segment of the gaming market. “EA’s global studio and publishing network will help PopCap rapidly expand their business to more digital devices, more countries and more channels,” explained Electronic Arts chief exec John Riccitiello. Android is the global leader in smartphone platforms with over 500,000 daily activations, serving as an obvious advantage for Google. However, Android’s success is also becoming a boon for Microsoft, which has negotiated agreements with several Android licensees to settle patent infringement claims, providing $5-10 for each device shipped. With the potential of 500,000 activations per day, this could amount to $1 billion in value to Microsoft. This amount would exceed the value of their Windows 7 and Bing businesses currently. Google’s Android continues its lead over all other smartphone platforms, according to the latest quarterly report from comScore. However, Apple has overtaken Research In Motion’s BlackBerry for second place among U.S. smartphone software providers. 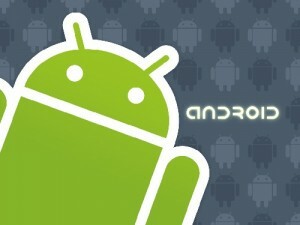 Android grew from 33 percent to 38.1 percent, while Apple grew to 26.6 percent and RIM declined to 24.7 percent. Microsoft and Palm both showed declines as well. In terms of handsets, Samsung currently leads with 24.8 percent of the smartphones in circulation while Motorola remains in second place. 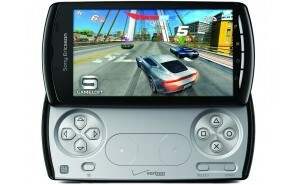 The long-awaited Sony Ericsson Xperia Play — or “PlayStation Phone” as it’s been popularly dubbed — will finally be available starting May 26 for $199.99 from Verizon Wireless (with two-year service agreement). Pre-orders for the PlayStation certified smartphone began yesterday. The Play features a 4-inch 854 x 480 multi-touch display, 5 megapixel camera on the back (plus front-facing VGA camera for video chats), and runs on a 1GHz Qualcomm Snapdragon II processor with 512MB of RAM. The system is based on Android 2.3 “Gingerbread” with some Sony Ericsson customizations. The specs also list support for Google Mobile Services, including Google Maps, Gmail, Google Talk and access to 200,000 apps in the Android Market. The phone will come preloaded with seven games, including: Bruce Lee Dragon Warrior (check out the video demo), Madden NFL 11, Asphalt 6: Adrenaline, Star Battalion, The Sims 3, Crash Bandicoot and Tetris. The Play device features a sliding screen that reveals touch-sensitive directional pads, a dual analog touch joystick and shoulder buttons for playing games. Verizon says more than 50 games will be available at launch time from the V CAST app store.